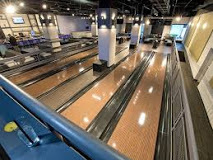 Here you can bowl (you must pay for your shoes, food and drinks) and socialize around the bar and in sitting areas. This is a fellow Tiger’s establishment (Debron Betts). We’ll also be meeting at the Metropole (609 Walnut St.) at 5 pm for a registration and Meet and Greet. All refreshments at your expense.